The most crucial part of our life that we often ignore is the Aptitude. 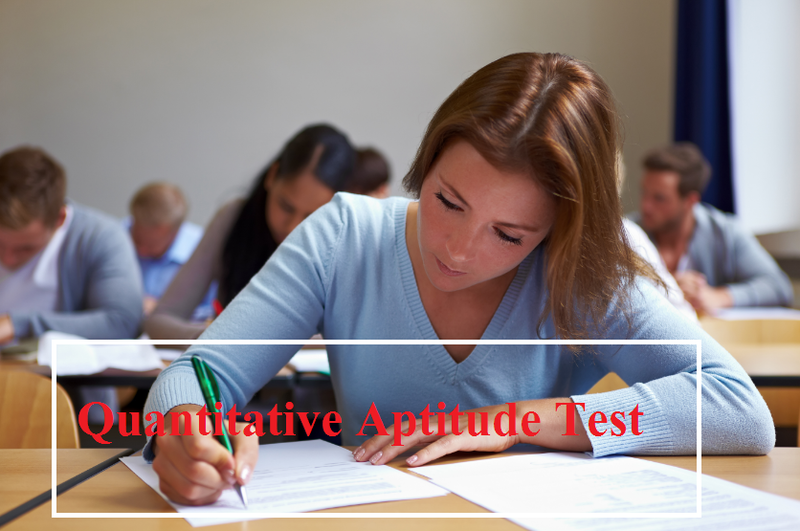 With the help of aptitude test, we understand the Quantitative aptitude test which is all about understanding the problem solving skills and analytical behaviour of the candidate. This type of test is one of the important parts of recruitment which is also conducted at the time of competitive exam to understand the aspect of the person who is soon planning to join in the company. There are so many questions and answers available online but it is important to be clear on which one would actually be relevant to the work profile that you are providing. In most of the exams, such type of test is considered to be a crucial part for the written exam at the selection process. If the person clears this test at the initial test then he would be advised to actually go ahead with the next round of interview which would be technical. If the shortlisted candidates are good in their technical and quantitative aptitude test then they will be given a chance to speak with the recruiters or the managers who are actually planning to hire them for the job opening which they have come up with recently. Such type of test actually improves the metal alertness of the candidate. In this competitive market where there are so many complex challenges coming across in the routine working life such test is helpful. It actually helps you stay a step ahead and thus get the best mental alert on the changes that may happen all of a sudden. Generally people with good numbers aptitude are considered to be the one who have sharp mind. Most of the entrepreneurs actually focus more on competition, profit, and even employees. However, they often struggle with the challenges that are likely to come across every minute. They would eventually rely on their candidates to find the best deal or solution that are coming across. By conducting Quantitative Aptitude Test, you get a clear idea about the right approach that needs to be followed by the candidate if working in a real environment to solve the complex issues. Not all people are good with numbers but those who are, you must make it a point to not lose them. Since, numbers play a prime role in business and commerce be it profit loss calculation or maintaining the balance sheet or investment analyses, every single function rely on such option. And if the individual that you are planning to hire must be good at it then with such test, you will get a clear idea, if he can work with number and deal with data that is actually elated with numeral area on regular basis. That is why, make sure at the time of recruitment, you have such test in your hiring process.